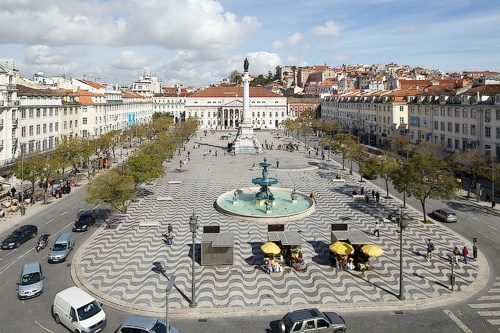 NEW Apartment in Lisbon 13 – Rossio! 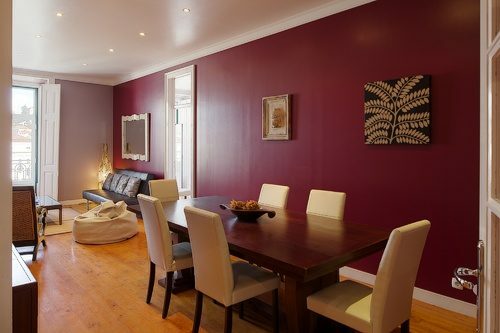 Fabulous apartment in Rossio Square, the most known square in Lisbon! The perfect mix: location & confort. Lisbon’s accommodation mirrors the city’s and region’s general diversity. You simply have to choose the best option for your holidays. From major international hotel chains to little charm hotels, you have a wide range of accommodations at your disposal. But why don’t you look for an alternative accommodation? 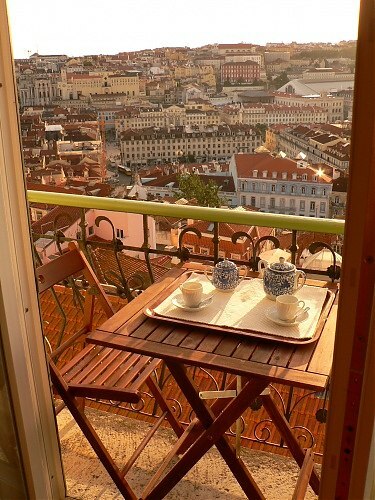 Renting an apartment in Lisbon allows you to combine the comfort and privacy of home life with an experience of the locals’ way of living. It is an interesting price-quality alternative to hotel rooms! Visit the capital of light for your holidays and choose an apartment in Lisbon historic centre. Enjoy the charms of the Chiado district, the mecca of traditional and modern shops and the intensive nightlife of Bairro Alto. Stay in Alfama or Mouraria and enjoy the Moorish origins of the neighbourhood by day and the voices of Fado singers at night. In Belém you have self-catering furnished apartments near two landmark monuments, the Belém Tower and the Jerónimos Monastery. Finally, the eastern section of the city is the up and coming Parque das Nações area, host to the World Exhibition of 1998, where you can rent an apartment and enjoy the newest Lisbon centre of recreation facilities and open air dining and drinking. Travelling to Lisbon offers the best choice of accommodations in Lisbon. Apartments are the right type of lodging if you are looking for a comfortable and fully furnished place for your holidays in Lisbon. Springtime arrives and with it comes Easter and the spring holidays. If you are unsure of where you want to go, and are looking for a great place to go for your next springtime vacation, why not consider Lisbon, Portugal? Lisbon is thought to be one of the most beautiful cities in Europe, full of wonderful art and architecture, history and nightlife. Lisbon also has some of the mildest weather throughout Europe, thanks to its Mediterranean climate. In the spring, days are generally mild, or even warm during daytime. The Tagus River runs through Portugal’s capital city, and lends a wonderful atmosphere to the metropolis. Dine in one of many lovely restaurants along the banks. The old city is located in the heart of Lisbon, and the city spreads out from there. Alfama is Lisbon’s oldest district, with narrow streets and shops. In Alfama you will come across the Lisbon Cathedral, the St. George Castle, handicraft shops, and Fado Bars. At night, if you are up for going out and enjoying the nightlife with the local youths, the place to hit is Bairro Alto. Parque das Nações is also a fantastic place to enjoy the nightlife, with restaurants and the great Lisbon Casino. Museums, shops, cafes and entertainment galore await the traveller in this stunning Portuguese city. Combine your Spring holidays in Lisbon with a visit to Sintra and enjoy the natural atmosphere complimented by impressive architecture. Lisbonhas access to beaches so why don’t take a walk near the sea? When it comes to accommodation in any European capital one thing is for sure: regardless of when you travel, there is always a place available to sleep. If a hotel is a bit too high for your budget or a bit impersonal, then self-catering apartments in Lisbon will surely be within your price range and much more private. Travelling to Lisbon offers an excellent service rent for apartments in Lisbon. An excellent choice for your holidays in Lisbon.Don’t forget to check the springtime offers on the Last Minute section. 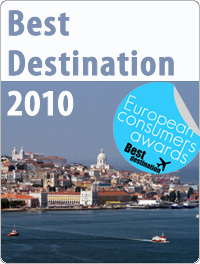 For this first edition of the Best Destination 2010, the wonderful city of Lisbon has been selected by european consumers as the most beautiful place to go for a trip or a week. For the award selection, the Brussels-based European Consumers’ Association proposed a list of ten cities focusing on quality of life and infrastructure, as well as offering cultural and tourism variety. In addition to Lisbon, other cities on the ballot were Barcelona, London, Copenhagen, Bilbao, Lyon, Amsterdam, Berlin, Prague and Helsinki. For the European Consumers Choice, the vote in Lisbon reflects “a city that was able to preserve all of its soul and offer a point of entry for Tourism without forgetting its social and cultural riches”. Travel to Lisbon and enjoy city’s everyday life like the locals. Renting an apartment for your holidays allows you to combine the comfort and privacy of home life with an experience of the locals’ way of living. It is an interesting price-quality alternative to hotel rooms! Visit Travelling to Lisbon’s website and see that they offer the best choice of accommodation in Lisbon.